Food nourishes, but it is also an important part of daily life, family, traditions, the environment, and culture. Diet is personal. What’s right for one person isn’t necessarily the solution for another. Always listen to your body, but the general rule is this: If you hope to lead a healthy lifestyle, start with a balanced diet. Humans need a variety of nutrients, including vitamins, minerals, and proteins, for their bodies to function properly. The easiest way to achieve this is to maintain a balanced diet. There are six different food groups—grains, fruits, vegetables, proteins, dairy, and oils. Grains: Grains are foods that come from the seeds of wheat, rye, barley, rice, oats, and other cereal grasses. There are two types of grains. Whole grains use all three parts of a grain kernel—the bran, the germ, and the endosperm—so they are often high in fiber. They also contain vitamin B and iron. Oatmeal, whole-wheat bread, and brown rice are examples of whole grains. Because whole grains are fiber-rich, make sure that they comprise at least half of the grains you consume. Refined grains are processed to remove the bran and the germ from the grain kernel. Milling the grain makes the end product last longer, but it also takes out the nutrients. If the product package says it’s enriched, that means that vitamin B and iron have been added back, but fiber has not. Refined grains include white flour, white rice, and white bread. Limit your consumption of refined grains. Fruits: Fruits develop from the ovaries of plants and go on to bear their own seeds. There are so many fruits in the world that it’s almost impossible to group them, but you’ll know the common ones: berries, melons, apples, bananas, mangos, and citrus. Fruits do not contain any cholesterol. They are also low in fat and calories but high in potassium, fiber, and vitamins. Fruits can boost your immune system and lower your risk of developing certain diseases. Dark-green vegetables like broccoli, greens, and spinach, are sources of fiber and folate. Starchy vegetables, like corn and potatoes, which are high in carbohydrates, fill you up and give you energy. Red and orange vegetables, like squash, carrots, and peppers, are loaded with potassium and vitamins A, C, and K.
Beans and peas are a source of protein, iron, zinc, fiber, and potassium. Because they are so nutritious, people who don’t or rarely eat meat often rely on beans and peas for protein. There are a host of other vegetables that don’t fit into one definite category. Think mushrooms, onions, cucumbers, and cauliflower. These foods have their own nutritional values. While it’s important to sample vegetables from all of the groups, the “other” vegetable group is a reminder that variety is important. Protein: Proteins contain amino acids and build muscle mass and bone. They are often found in meat, poultry, seafood, and other animal products such as eggs. Luckily for vegetarians, they also come from beans and peas, nuts, and processed soy. Dairy: High-calcium milk products that are fat-free or low-fat fall into the dairy group. If a milk product has little or no calcium (e.g., butter or cream) it does not count. Calcium-enriched soymilk and low-fat milk, cheese, and yogurt are all great sources of dairy. Oils: Oils aren’t actually a food group, but this category was developed to refer to certain plant and fish fats that are included in many diets. Oils include essential fatty acids, which have some health benefits. Cooking oils, like vegetable oil and olive oil are found in this group, as are other oils that are found in nuts, avocados, and salad dressings. At room temperature, oils are liquid. Fats that are solid at room temperature such as butter or lard do not fall into this category and should be used sparingly. They tend to contain high amounts of saturated and trans fats, which can raise cholesterol and block arteries. That said, because diet is so personal, everyone has a different idea of what a healthy diet is. Some people steer clear of gluten, meat, animal products, dairy, and/or carbs. They might have food allergies, hope to lose weight, or build muscle. Remember that it doesn’t matter what everyone else is eating or what they aren’t eating; food can be a sensitive issue, and your diet is up to you. Going to college is a lifestyle change, even for students who don’t move far from home. It can affect your exercise habits, sleep, relationships, and eating habits. Fortunately, you can maintain a healthy diet no matter where you are. Scope out your options before you eat. Take a lap around the dining hall. The first station may be serving mouthwateringly cheesy lasagna, but there is almost certainly a healthier option if you keep looking. Keep a food diary. Write down what you ate and when you ate it. You can keep a physical notebook or use an app, like MyFitnessPal. Over time, you’ll get an idea of your daily patterns. You may realize that you get enough protein, but you need to eat more vegetables. Keeping a food diary is also helpful for students who suspect that they have a food allergy. If your stomach has been bothering you since you got to college, you can check your food log to see what you’ve been eating that could be upsetting you. Ask about calories. Because so many people adhere to dietary restrictions, dining centers must maintain information about a meal’s ingredients and its nutritional value. Check your school’s dining hall website or request information from the chef. You should be able to see which recipes are packing a lot of calories and fat with little nutritional value. Cook in your dorm kitchen. Most dorm buildings have a shared kitchen. Pick a day to use it with friends. Make your favorite foods that you can’t find in the dining hall, grocery shop together, and feel comfortable knowing every ingredient that went into what you’re eating. Combine options. Most dining centers help students who make special requests. If one part of a meal appeals to you (the veggies from the Mediterranean station, for example), ask for it to be served alone (without the fried falafel). Remove the lean meat from a grilled chicken sandwich and serve it on a salad instead of on a bun with mayonnaise. Grab veggies from the salad bar to add to your pizza. Mix a fruit cup and a yogurt cup. Most dining halls will be eager to help you. Maintain a snack bar in your room. If you brought a fridge to campus, use it for yogurt, milk, fruit, and any leftovers from meals you ate off campus. Otherwise, devote a high shelf or plastic storage container to your healthy snacks. Your food packages may also be able to fit in the pockets of a hanging shoe organizer. Crackers, oatmeal packets, almonds, peanut butter, and tea are all easy to store by themselves or with bag clips. Be sure to clean up after any meals to keep dorm pests, like mice, roaches, or hungry neighbors, away. Consider living off campus next year. If the dining hall is making you miserable, consider moving to an apartment next year. With your own kitchen, you can better control what you’re eating. Practice cooking. One of the benefits of living off campus is that you can cook for yourself. It sounds great in theory, but for many students, this will be the first time that they’ve had to cook all of their meals for themselves. If you find yourself at your parents’ house for a few weeks before heading back to school and living off campus, ask them for help. Your mom and dad can show you how to make their famous chicken soup or tomato sauce. Even if you don’t use them as resources, use their kitchen. Practice making a few easy recipes, so that it’s a breeze when you get back to campus. Buy a slow cooker. Even when you don’t have time to cook, your slow cooker does. Dump the ingredients into the electric pot and let them simmer all day, usually 10–12 hours. You often don’t even have to stir. There are slow cooker recipes for almost anything: soup, pork, lasagna, chicken, frittata. When you’re done with a long day of classes, return home to a delicious hot meal. The price of a slow cooker is reasonable, but it does depend on the size you choose. A small three- or four-quart Crock-Pot will cost you less than $20.00. Off-brand slow cookers may cost even less. Cook on the weekends. If your weekdays are jam-packed, prepare your meals on Saturday or Sunday. Your schedule will be the most flexible, and you could feasibly make more than one dish at a time. Meal prep fits easily into your existing weekend routine. If it’s the day you’ve reserved to write an essay or do laundry, toil away while your casserole is in the oven or your chili is simmering. Pack a lunch box. When you cook your meals ahead of time, that’s great. When you divvy your meals up into single-serving portions, that’s even better. Some days during the week, your schedule may give you no more than fifteen minutes between classes. Do yourself a favor ahead of time. Divvy up the meals you cook into single-serving containers, such as Tupperware or sandwich baggies, so that you can grab a portion when you’re on the go. Consider a few meal points. Some universities offer minimal meal plans to students living off campus. If you don’t feel like cooking every single meal, you may be interested in eating a few meals a week at the campus dining center. Check with your school’s dining hall about its meal plan options. Some schools go even further and offer an Off-Campus Meal Plan; you prepay for a certain number of meals and then redeem meals at specific restaurants near campus. Make a grocery list. It never hurts to write down what you need, especially if you are planning on making a few dishes throughout the week. How long will those meals last you? 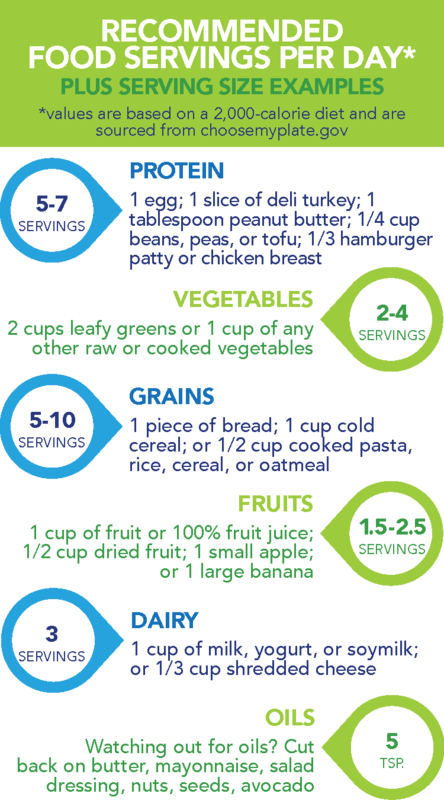 Do you have enough ingredients on your list for every meal of the week? Use coupons if they are relevant to your eating habits, but don’t buy what you won’t eat, no matter how great of a deal it is. Dropping $40.00 per week on groceries can seem expensive upfront, but it’s much cheaper than a week’s worth of meals at a restaurant. When you eat out, you’re paying for the cost of convenience. Shop on a full stomach. Go grocery shopping after a meal so that you can focus on buying the items you really need, not every new flavor of Oreos in stock. Cook with roommates. If you live with others, set expectations early about food sharing. It’s possible that everyone in the home wants to go grocery shopping together and take turns paying. It’s also possible that everyone wants to go their separate way come mealtime. Whatever you and your roommates choose to do, help each other out. If your roommate is cramming for a final, offer to make her dinner. She can pay you back when your turn to study comes up. Communicate with each other about meals and eating habits. If one roommate has a food allergy or intolerance, be careful of cross-contamination.